3 It is important to know some rules, that guide the owners of e-mail. Man in the life of communion must also, as oxygen. If he will not talk or communicate with colleagues, friends or even strangers, it will cease to develop as a person. In today's world, this provision has gained momentum, and it is impossible to imagine more than one person, who does not have e-mail. This article analyze, write a letter, types of communication, etc.. thin moments. When writing a personal letter is best to use a good quality paper, tk. an ordinary exercise book may not seem very neat, if not show your contempt. 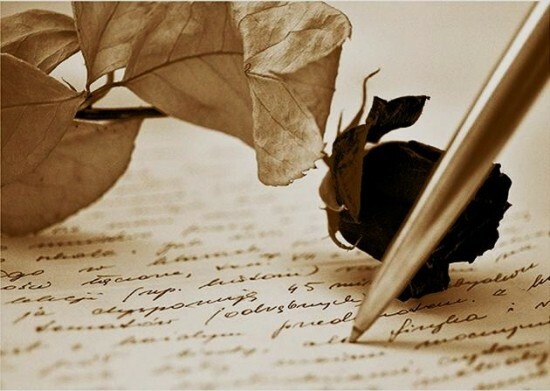 Although the current time of writing lost its popularity, and in the case entered the modern technology, in the world yet there are romance, that it uses paper and pencil. Let us examine what it takes to start. The letter should begin with treatment. Place it on the middle of the line. Next comes the main text of the message, it is best to retreat yet 2-3 lines, and only then start writing. by the way, do not forget about the red line. Besides, at the end of the sheet is also necessary to keep the size of indented 2 lines. If you do not have enough space, it is best to turn the page and start writing top. Pay attention to literacy, because it is the main indicator. If you avoid grammar and speech errors, the recipient will be clearly disappointed. In addition, you show yourself with a bad hand. Also pay attention to the writing and font size. When writing, use a pen or pencil of the same color. Finish your text should be signed, In addition, you can put a date (on a case by case basis). On the need to answer the received letter within a week. As mentioned earlier, currently most popular is e-mails. Moreover, they should be distinguished from the instant message, which you can take advantage of special programs and services (skype, vkontakte, ICQ and others.). The latest communication is carried out online, ie. you get the message and respond within a short time. In this case, usually, people do not pay attention to literacy and punctuality. Here the main thing – speed of response. And using email, should think about their speech. It is important to know some rules, that guide the owners of e-mail. Check your incoming messages are not less 1 times a day. It is advisable to perform this action 2-3 times – morning and evening. Otherwise, your chat with a friend or co-worker may be delayed for months, after which the topic of conversation has become not relevant. All received letters to be read. This paragraph refers to those, who do not subscribe to multiple mailing. Typically, such people have almost a full variety of useless spam. In addition, it can be dangerous. each manager, indeed any active person, entrepreneur must shine 5 minutes of your time to read the morning mail. Now let's talk about the issue, write a letter? the traditional start, it is also the most correct – it's a greeting. Communication must take place in one language, ie. each partner should understand what is at stake, otherwise lost the very meaning of correspondence. Incidentally, If you have received a business letter, then the answer is to follow in the business form. The same applies to other forms of communication. Hereinafter will be described, how to write a business letter, but now it is important to know the, it is necessary to accurately and concisely answer the questions posed in the text. This also applies to personal letter. The fact, text communication that is different from the spoken, and, If you deviate from the topic, Your correspondence is delayed for a long time. Specify the exact name and date. Write briefly understandable. It is not necessary to describe it on two sheets, that can fit in the same sentence. If you have several topics to communicate, then separate them so, the addressee is not confused. Avoid grammatical and speech errors. Before sending you must fully read the writing, and resolve any issues. At the end of the letter except for the name and surname, you can specify additional contact phone number, address, etc.. The business letter must have some form and structure. Be sure to use a set of rules, avoid insult the recipient, as well as adhere to the business language. Even, if the letter contains claims, there should be no incorrect expressions, that may offend the personal qualities of the interlocutor. The business letter must be issued on a special form, where the following information: address and organization name, contact number, email, details and web-site, if available. Also be sure to indicate the date of the registration letters and number. Treatment begins with a greeting. It is important to use the name, as well as the position of the recipient. A font must be readable and have a size of not less than 12. Now you know, write a letter. You can also familiarize yourself with, how to write a letter of request .